A little piece of history has launched today. 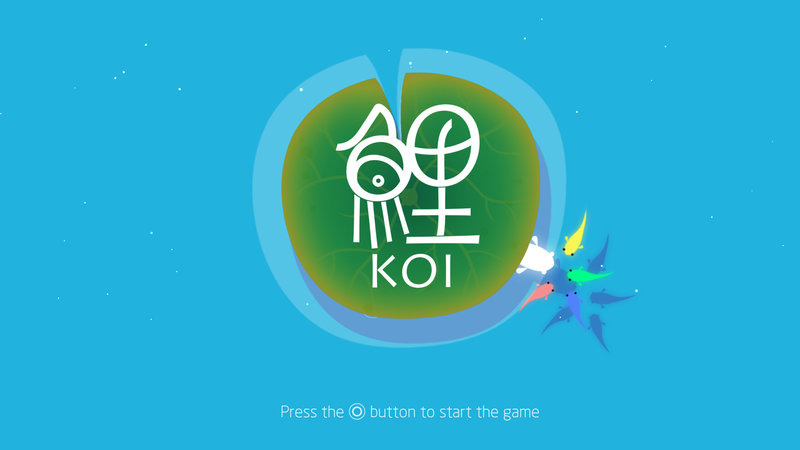 The first Chinese-developed PlayStation 4 game, KOI, has been released to Western audiences. Developer Dotoyou claims that it has brought a “challenging adventure with danger and uncertainty” in a changing lotus pond. With a look that may be evocative of flOw, does this indie exclusive bring something fresh to Western markets? KOI begins very simply, introducing you to the game’s controls, which are also quite simple. You move with the left analog stick, and occasionally interact with things with circle. That’s it. Like much of the game, as you’ll see, there is not a whole lot of depth to KOI. There’s not even a sprint button, and, indeed, much of the controller is never used. This isn’t necessarily a problem, but later segments in the game make you wish for a way to swim faster. KOI has a pastel-themed palette. Everything is bright at first, with a peaceful Zen-like soundtrack by the acclaimed Chinese artist Zeta. The main menu, for instance, is pleasantly relaxing. But the world tends to be a bit bland, with rocks and the occasional branch that block your path. Running on the Unity engine, there is nothing particularly amazing about the game’s presentation, but the game runs quite well and is hardly taxing on the PS4. So you play as a lone KOI fish, who swims around to rescue other smaller fish. Your goal is to deliver these smaller, colored fish to their respective flowers and drop them off, which causes their flower to bloom. After a few minutes, you’re introduced to one of the game’s two enemies (and the only mobile one), a much larger fish that has been possessed by some sort of evil darkness. If you move into the black fish’s cone of vision, their eyes light up an ominous red, and you have a few moments to evade their tackle. If you get hit by these enemy fish, you become stunned and must wait until you recover, which can take around 20 seconds or so. That’s the only penalty to being hurt in KOI. There’s also electricity in the last couple of levels, with the same penalty if you get shocked. With no sprint button, you will definitely get hit at least once or twice. KOI consists of eight levels, each of which only take a few minutes to complete. I completed the whole game in one sitting, and there is little doubt that other players will do the same. The world becomes darker the further you progress, with another peaceful fish explaining that humans were to blame. There is also a final sequence that sees you swimming among a bunch of seemingly dead white fish while being attacked on all sides, with a confusing way to end that portion of the level. KOI’s story is woefully light on details. You occasionally talk to a frog, who seems to exist solely to be your cheerleader, and reminding you that you are a chosen fish who can save the world (or at least the world as it exists in this pond). Some flowers that you “turn on” magically turn gears to solve what passes for puzzles in KOI, and those puzzles are about as challenging as simple addition problems. KOI does have a small amount of replayability. Scattered throughout each level are stars and puzzle pieces. Collect everything in the level for a trophy, and perform certain feats in the game to unlock a different outfit/color for your fish. Nothing is particularly hard to find, but this does extend the game’s playtime by another half hour or so. KOI review code provided by publisher. For more information on scoring please see our Review Policy here.